Once again, NewsFour has a great competition for our readers, with a VIP ticket to this year’s Nom-Con up for grabs! 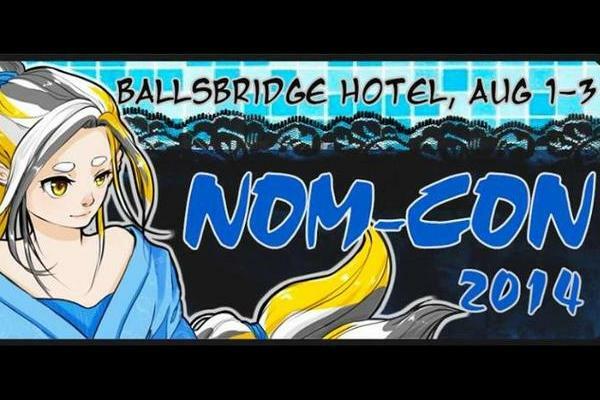 Taking place in the Ballsbridge Hotel this Friday, Saturday and Sunday, Nom-Con is a convention dedicated to animation of all forms. The colourful event will see fans of animé dressing up as their favourite characters (cosplaying), with special guests such as Dragonball Z voice director Christopher Sabat and voice actor Jamie Marchi of Witchblade, Borderland II and Shin Chan fame. The convention will also feature Nom-Con’s Next Top Cosplayer, the annual Nom-Con Table Quiz, a gaming room with video games, tabletop games and tournaments, as well as screening animé throughout the duration of the event. To be in with a chance of winning the VIP ticket, simply Like and Share this post on Facebook, or Retweet on Twitter! The winner will be contacted on Thursday – good luck!